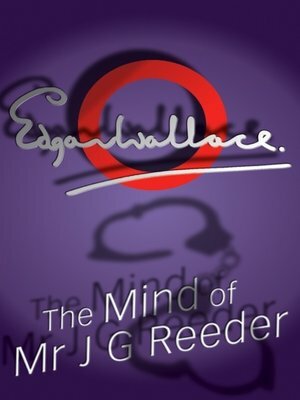 I see wrong in everything,' said Mr Reeder, 'I have the mind of a criminal.' At first glance J G Reeder is an ordinary, slightly shabby little man with red hair, weak eyes, whiskers, square-toed boots and a chest protector cravat. However, working for the Public Prosecutor he finds plenty to stretch his extraordinary mind. Here are eight thrilling, highly original tales from one of the greatest talents ever applied to detective fiction.